Maxine is an elegant fabric bed, presented in a beautiful grey, short-pile velvet. 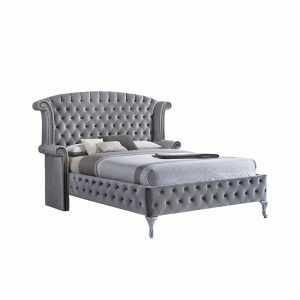 The imposing shaped headboard is augmented by immaculate studding to create an overall wow-factor that will add a sense of sophistication to any interior. 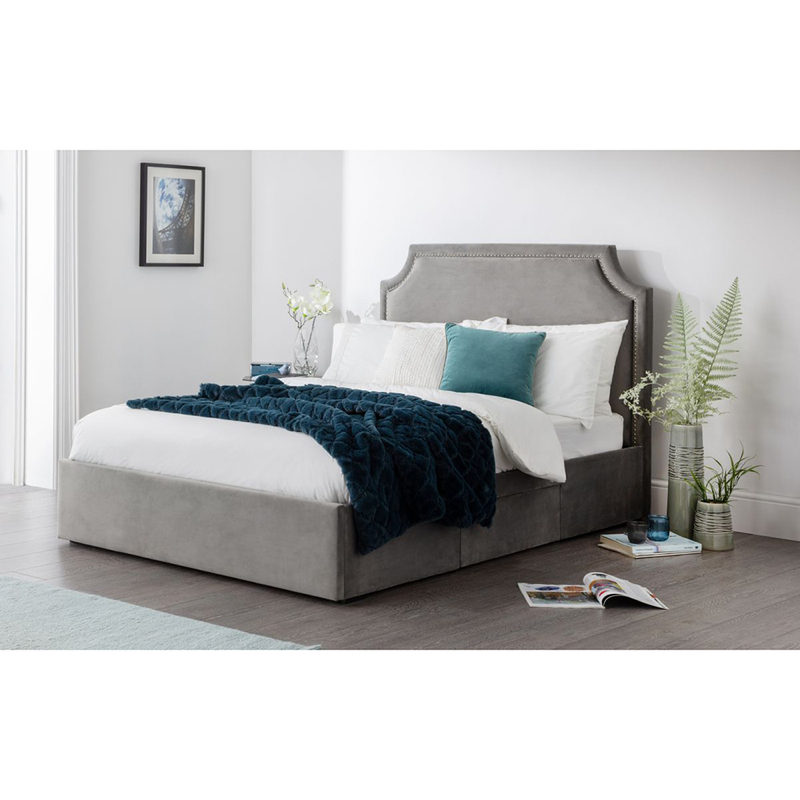 Maxine offers superior functionality, combining two practical side storage drawers with a full width third drawer that pulls out from underneath the footend of the bed. The robust construction incorporates a sprung-slatted base to ensure a comfortable night’s sleep and prolonged mattress life. Full width, pull-out storage drawer hidden in the footend. Two practical side storage drawers.